My dear friend Emily knit me these leg warmers and delivered them on Sunday. I haven’t owned a pair of these since dance classes as a little girl– I’m loving them. 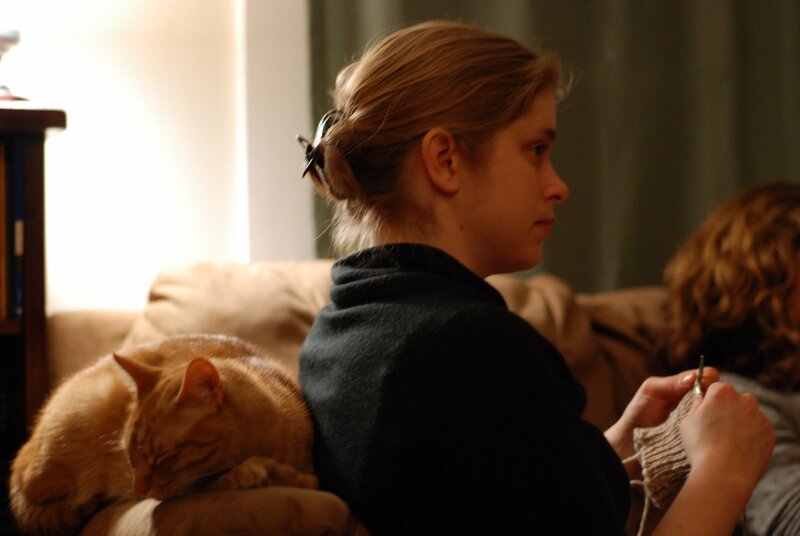 Here’s Em last weekend, working on the leg warmers while Calvin catches a snooze. Top photo by me, bottom photo by Patrick. Beautiful! What a thoughtful gift.Jealously yours,s.